Everyone: "Oh goodie, JCarter426 uploaded another mod! I wonder what flawless, innovative, 10/10 mod he has graced us with this time JCarter426: "IsLaM iS mY aUtHoRiTy!" 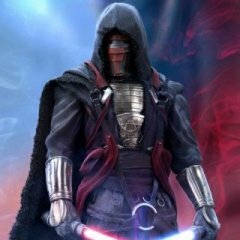 AUTHOR: Sith Holocron ORIGINAL RELEASE: 01 APR 2019 GAMES: Star Wars Knights of the Old Republic 1. 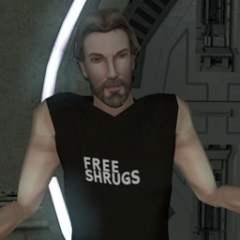 [This mod will not work in Star Wars Knights of the Old Republic 2. See Description for more details.] 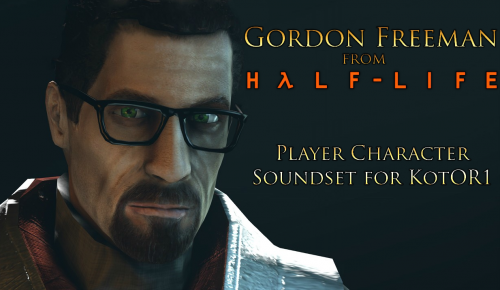 Description: If you’ve played Half Life 1 or 2, perhaps you might have considered making your character sound like Gordon Freeman. 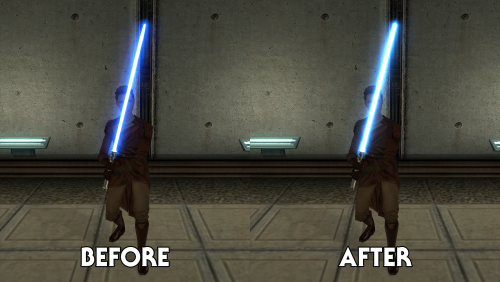 With this mod for KotOR1, now you can! Installation: You'll not be dropping these into your Override like my usual mods. This time you have new steps to follow. 1) Now that you’ve made your choices above, move the original KotOR1 files that come with the game to a place you can find them. (I recommend a folder on your desktop but you do you!) Those files will be located in the "Streamsounds" folder. 2) Extract the files from the 7z folder. Grab the new files from that extracted folder and put them in Streamsounds folder. 3) When you're done with the beta, you can delete my files from the Streamsounds folder and put the original files back in there. Note: If you're using the mod on Steam, this quote may prove helpful. “I threw the files in Streamsound. I managed to fix it by verifying game files through steam and reinstalling the mod though!” Uninstall: Remove my files from the Streamsounds folder. Put the original files that you saved elsewhere back in the Streamsounds folder. Legal Disclaimer: All materials and copyrights belong to LucasArts, Bioware and Obsidian Entertainment Inc. I own none of the materials, and I'm not making any money out of this mod. It is to be distributed as-is without alteration, unless notified in writing of permission granted by me. This mod is not to be distributed for profit, either. I hereby state that I specifically do NOT wish this mod to be uploaded to Steam Workshop. I may release this on NexusMods at a later date but I don't wish others to do so. Usage in other mods must be requested and approved by me in writing before your use. Special Thanks: You – my faithful fans! GenoHaradan Legacy 1.0.1 is out!!! 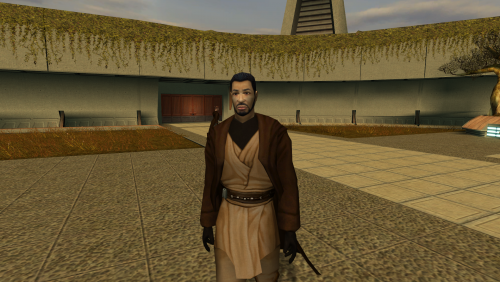 New features include: *Atton will always mention Revan whenever you talk to Atton about the GenoHaradan *Fixed the installation allowing you to hear Zez-Kai Ell's new restored lines *When the player is taken to the GenoHaradan base, on top of Atton contacting the player via comlink, Kreia can also telepathically talk to the player before the boss fight *Dessicus and his goons start off as invisible *The GenoHaradan secret base is always locked off like in vanilla. This is to prevent the player from entering before or after the big fight *Visas and Handmaiden/Disciple have been removed from the Ebon Hawk scene being replaced by Goto or Mira/Hanharr who all interact in the scene with some cut/unheard lines. *Fixed the descriptions of most GenoHaradan items *Restored an unused texture for the GenoHaradan Mesh Armor If you play 1.0.1 and you don't experience these new changes or they are bugged please report them as soon as you can! Direct Kolto injection. That is going to sting. I like the direction of the content, but not the content itself. Seems neat though. 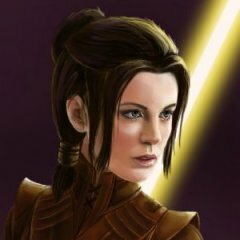 Just Updated Operation kill Bastila remade. Fixed K1R incompatibility among other things. 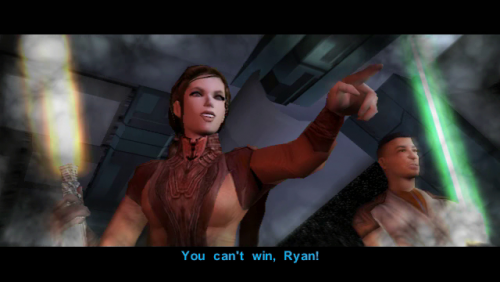 Absolutely required for any KOTOR run in my opinion. The average blaster is absolute trash even compared to a bog standard shortsword. The fact that this mod takes the changes that Obsidian made in KOTOR 2 and adds them to KOTOR 1 makes blasters somewhat more palatable in the beginning, which is fantastic for characters like Carth and Mission, who are pretty much perfectly geared for blasters. Knights of the old Republic: Operation kill Bastila remade. As the original site that hosted the mod went down so I decided to recreate the mod operation kill Bastila. 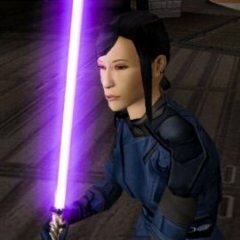 This mod will turn the sith troopers patrolling on taris hostile unless Bastila has a disguise on. Bastila must be in the party for this to happen. It is recommended that you start a new game. INSTALLATION: There are two options Roleplay and Gameplay: 1. Select the option roleplay if you don’t mind the disguise giving a -1 to wisdom. The reason for this is in the item’s description. 2. Select the option gameplay if you don’t want a -1 wisdom decrease. 3.OPTIONAL- If you have the Kotor Restoration Patch installed place the file from the compatibility\K1R folder into the override. Replace as needed. UNINSTALLATION: That may not be a good idea but if you insist: 1. 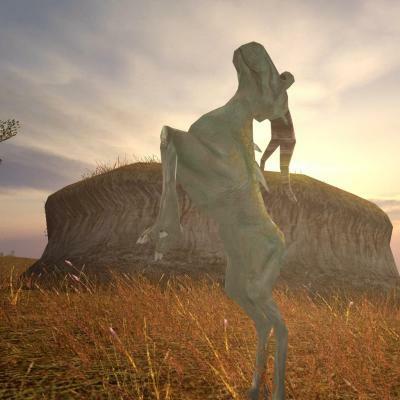 Delete the following files from override- appearance.2da, bast_des.mdl\mdx, bast_desh.mdl\mdx, bast_des.uti, feat.2da, heads.2da, kill_bast.ncs, kill_bastsg.ncs, p_bastila.utc, tar02_sithguard.utc, tar02_sithpat22.utc, tar02_sithpat023.utc, tar02_canttroope.utc, cowl.tpc, mask.tpc. 2. Go to the mods folder and find the folder marked backup. Copy appearance.2da, feat.2da, heads.2da from the backup folder to the override folder. Copy dialog.tlk to your knights of the old republic root folder (the folder that has the game). INCOMPATIBILITIES UPDATED: Any mod that modifies the following files will be incompatible: P_Bastila.utc tar02_sithguard.utc tar02_sithpat22.utc tar02_sithpat023.utc tar02_canttroope.utc k_ptar_alertsith.ncs k_ptar_strgrd_en.ncs KNOWN ISSUES: If you turn the sith guard at the cantina hostile then run away and equip a disguise, the guard will stand at his location and not be accessible for dialog. PERMISSIONS: You may not upload this mod to any other websites. You may use this mod in your mod as long as you credit me and you upload it to either deadlystream, nexusmods, or both. Do note that if you include it in your mod you are now responsible for maintaining your fork of the mod (in other words don’t come to me with user issues). The only exception of course is adding updated versions of this mod (if any) to your mod. FOR MODDERS: Look in the folder marked source. I organized the folders for each thing modified. The idea behind this is compatibility. The original plan was to make an ASMR video set on the Ebon Hawk, then just drop a link on my Status Update not explaining it at all. 1. 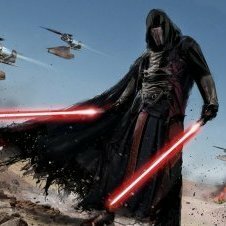 I'd love for there to be a way for at least Kaah to survive the sith assassins. 2. The ending was kind of abrupt and unfulfilling and I actually thought something was broken for a moment. 3. Black market droid worked fine for me, perhaps because I didn't interact with it until after fixing the radiation leak? 4. 'Deadly Upgrade' could not be completed on my own, I had to fetch CS-28 for it to complete. 5. Found the sound mixing to be quite annoying with some voices quite loud and some whisper quiet. 6. Found the Industrial Sector much less laggy but still had a strange bug where it would freeze for a moment then fast forward for a few seconds. 7. 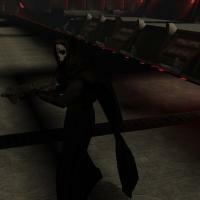 Some of the Sith assassins don't become aggressive and remain standing around after the fight. 8. Atton acts like he isn't a Jedi in the intro(Provided you made him one). 9. I get Bao-Dur's shield breaking allowing you to sequence break into the environment zone, But why not your Lightsaber? 10. Never had a problem entering the Enviro-Zone with party memners. 11. Never got the fixing droid quest, perhaps because I progressed too far? On a similar note, I never returned to Telos right after the academy; Instead doing so before/after completing M4-78 and now Telos is messed up with Grenn missing and me being told to wait for Grenn to arrest me again among other things. 12. Found the teleporting to get thru the radiation leak stuff to be kind of jarring but understand the limits. Shame the 'teleport-via-map' from K1 was never implemented... 13. Lip flaps for Kaah and Vash are broken. 14. Part of me wishes I could take all 3 droids to deal with the radiation. 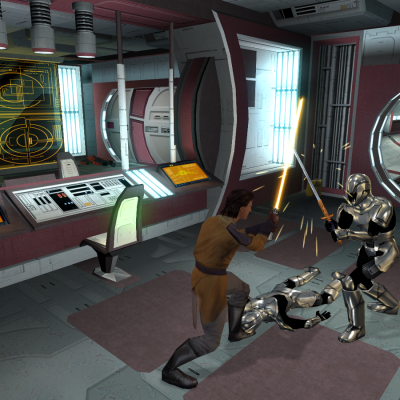 These are basically High Definition upscaled assets for the first Kotor title. I was inspired by the games original awful stoneage 800x600 artwork and NDIX's groundbreaking work. Mod does not touch every original GUI element, and as such is not yet feature complete. For one, most LOADING SCREENS are still missing HD versions. They will come eventually. My hope is people find these as pleasing of an improvement, as i did. Instructions, such as they are, are in the README. As, this is my first mod, any ideas, suggestion, criticism, repackaging improvemts are highly encouraged. The Mod has been created with 16:9 aspect ratios and 1080/1440p in mind. I shall do my best to fix any potential problems. 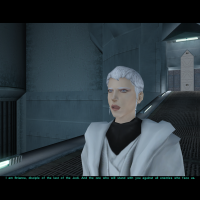 REQUIRED MODS: Universal Widescreen (UniWS) Patcher - http://www.wsgf.org/article/universal-widescreen-uniws-patcher KotOR High Resolution Menus 1.3 ndix UR - https://deadlystream.com/files/file/1159-kotor-high-resolution-menus/ K1 Main Menu Widescreen Fix 1.1 By DarthParametric - https://deadlystream.com/files/file/1173-k1-main-menu-widescreen-fix/ Recommended MODS: HD NPC Portraits 1.1 by ndix UR OBVIOUSLY THIS MODIFICATION IS NOT MADE, DISTRIBUTED, OR SUPPORTED BY BIOWARE, OR LUCASARTS ENTERTAINMENT COMPANY LLC. ELEMENTS TM LUCASARTS ENTERTAINMENT COMPANY LLC AND/OR ITS LICENSORS. 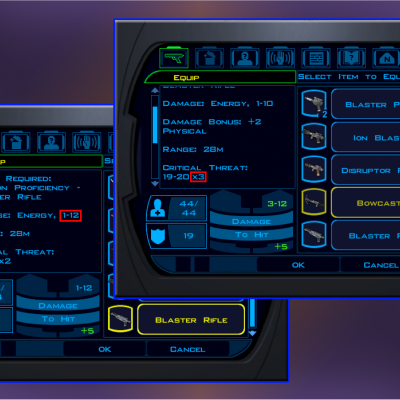 This mod adds a new type of droid-only item that will remove any status effects applied to a droid. There is a bug with the game that in some instances causes negative effects such as Slow to be applied to party members (semi-)permanently, with no practical in-game way to remove them. 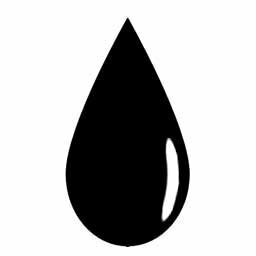 To use, simply add the "Droid Oil Bath" item (g_i_cmbtshot050) to your inventory via KSE or console command. 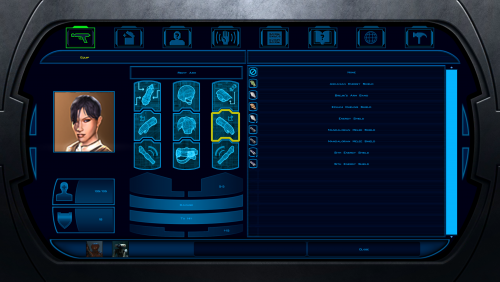 When a droid is the active party member, the item will appear in the GUI slot for stimulants like adrenals and is used in the same manner. Each item is single use and will remove ALL status effects currently applied to the recipient. This includes both positive and negative effects, so take care when you use it. It is intended as more of last resort bug fix item than for general use. The companion mod for meatbags, Cup of Caf, can be found here. Uhm, what? No progress, sorry. The last thing I did with the mod was to send it out to my testers. They tested it and provided very helpful feedback but I have not yet implemented any of it. I haven't forgotten about the mod, it's just not on top of my priority list right now. This is an update of my previous Darth Nihilus Animation Fix. It includes two new features. First, the cape bug is fixed fixed and it is fully animated. Secondly, Nihilus' popular unique animations are still on him, like his lightsaber flourish and special attacks. It still gives Darth Nihilus all the animations for all combinations of ranged and melee weapons, as well as all other mundane animations. I also fixed a small typo in the item description, if anyone cares. You can again access the robe that allows you to disguise yourself as Nihilus as a replacement of the mask you can get from Visas after you kill him on the Ravager. How to fade to black? Finally, an answer that helps me.